Taking your CBT training in Enfield can be quick, simple and easy. And we have all the information you need to book your CBT training, get you on the way to getting you your bike licence and to getting out on the road. We currently have a couple of motorcycle training centres available and close to the Enfield area, with several more in and around the North London, Tottenham and Walthamstow areas too. Who can take a CBT? In order to be eligible for a CBT and to get booked onto a CBT course, you must be a UK citizen, be at least 16-years-old, and hold a valid UK provisional licence or a full licence. You do not need to take the theory test before your CBT, and you don’t need any previous experience riding motorcycle or scooters. How do I prepare for my CBT? Contrary to what most people think, there is no test involved with your CBT as there is with a full motorcycle licence - it’s literally just a day of training that is intended to help you get to grips with the basic skills and knowledge required for motorcycle or scooter riding. The good news here is that you don’t need to worry about revising anything specific before the day, but it will may help to brush up on a few things. Luckily, we have plenty of handy guides and articles which will help prepare you for your CBT and there are plenty of resources online that will help you discover the answer to any specific questions that you might have. During your CBT, the instructor will test you on you knowledge of the highway code, so it’s wise to spend a little bit of time studying this to make sure you know the basics. To do this, we really do recommend using YouTube. It’s easier than ever to prepare for your CBT, and there are plenty of YouTube videos detailing the CBT itself. It would also be wise to brush up on the basic theory of riding a motorcycle or scooter, but make sure you know which type of machine you intend to ride first. There’s no point learning how to ride a motorcycle, if you end up riding a scooter. You can check out our more in-depth guide to prepare for your CBT here. 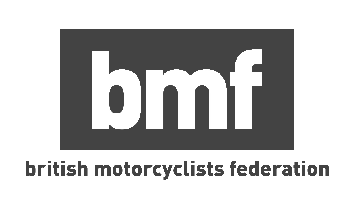 You don’t need to worry about buying your own motorcycle or scooter prior to your CBT, or purchasing your own protective equipment - in fact we would highly recommend that you wait until you’ve had your CBT training session before considering any purchase. The school will provide you with a bike, as well as a helmet and most, if not all, schools will provide you with gloves and a jacket too (we suggest that it’s worth some contact to find out exactly what the training school will supply before you attend the training session). As for clothing on the day, you’ll want to wear some thick jeans and sturdy boots that cover your ankles. We also, strongly recommend that you check the weather a day or two before you’re planning to take your motorcycle or scooter CBT, because wind chill can make it especially cold on two wheels. Even a light rain can make a dramatic difference regardless of whether you’re riding a motorcycle or scooter on your CBT training day, so pack extra layers or some waterproofs if you need to. As for the cost of CBT Training, this does vary dependant upon the time of year, the time of day and the location in which you choose to take your CBT training course. For a successful CBT training session in Enfield, you can expect your CBT cost to be around the £95 - £140 mark. But once the day-long session is over you will be able to hit the local Enfield roads with a fresh set of L-Plates and the confidence and ability needed for safe, road riding. RideTo operates in more than 30 cities across the UK and has helped new riders book over 40,000 hours of motorcycle training.